WORCESTER, Mass. 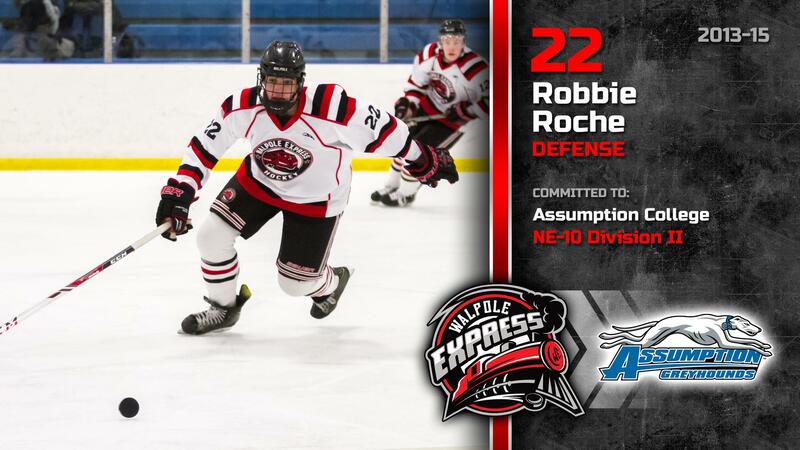 – Assumption men's ice hockey junior Robert Roche (Holden, Mass.) has won Northeast-10 Defensive Player of the Year. Roche had an impressive season as part of the defensive unit, tallying five goals and 12 assists for 17 points. He currently ranks third within the Northeast-10 with a +16 plus/minus rating, the best on the team. Roche maintained an impressive +10 plus/minus rating in conference play to go along with three goals and seven assists. It is the first time Roche has won a major award from the NE10, but did win Player of the Week Honors in week four this season. ©2019 Walpole Express Hockey / SportsEngine. All Rights Reserved.